I had a keen interest when I knew all about the Hairtrade products. 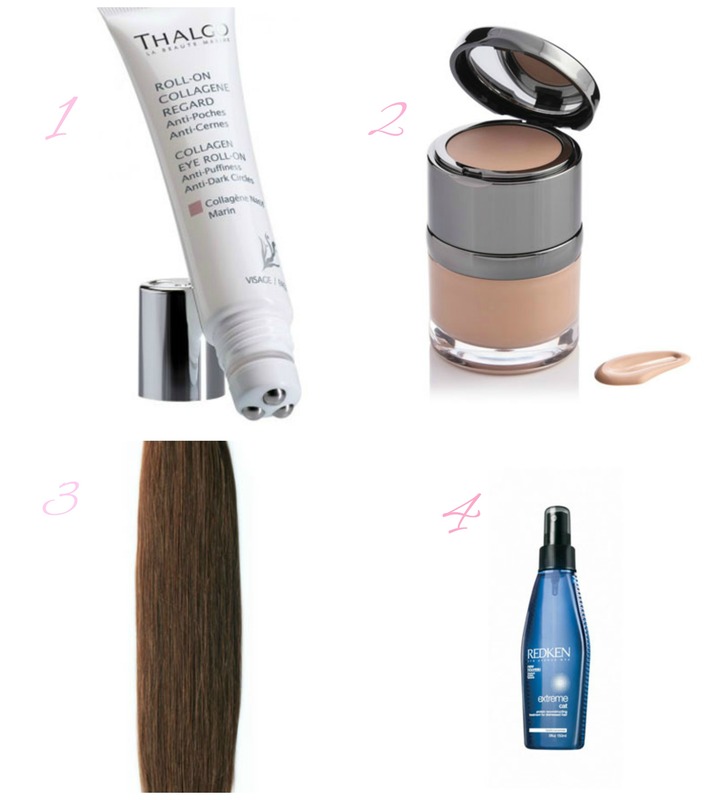 Hairtrade is a leading professional online suppliers of Human Hair Extensions & Beauty Products. Being the top online hair extensions supplier in UK and Europe, they stock a wide range of human and synthetic hair extensions products, which include human hair wefts, clip in, pre bonded/glue in extensions hair, Micro ring hair extensions and clip in hair fringe, ponytail, wigs and hair pieces. They stock best-selling cheap hair extensions from the following brands: I&K, ghd, Jessica Simpson, Paris Hilton, Babyliss, Sleek and more. I’ve seen a lot of interesting beauty products to try. At the end of my search, I ended up having four products that catches my attention. First is the Thalgo Collagen eye roll-on. Since I really want to diminish the puffiness and darkness around my eyes (which is my forever problem haha), I think this one can do the job. It claims that the massaging, ice-cube effect of the 3 metal balls combines with a concentrate of anti-puffiness, anti-dark circle and smoothing active ingredients. Moisturises, smoothes wrinkles and surface fine lines Helps boost cell regeneration. Second is the Daniel Sandler Invisible Radiance Foundation and Concealer. Since I am really on hunt for a make-up that can do mutli-tasking, I think this one is the best. The dewy-fresh fluid foundation feels as light as a feather on skin. Accompanied by a complimenting shade of creamy concealer under the mirrored lid, this is a perfect weapon to disguise either under-eye darkness or blemishes. Awesome right!? Third is the I&K Human Hair Silky Weaves (Medium Brown). I think this the perfect hair extensions because it claims to be made of 100% Human hair, it can be cut, coloured, straighten, and curled. Just like what we normally do in our hair. Last but not the least, Redken CAT Protein Reconstructing Treatment. My hair has been chemically treated so I suppose this is a must have for my hair care. It uses patented taurine technology and cationic proteins help reconstruct and fortify a damaged hair leaving it with soft and silky hair. Just to let you know that No7 have a pretty identical product to the Thalgo Collagen eye roll-on and it’s only £13.00! !